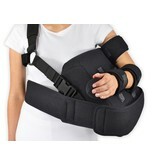 The abduction cushion consists of a large comfortable cushion that sets the arm in 45 degrees. 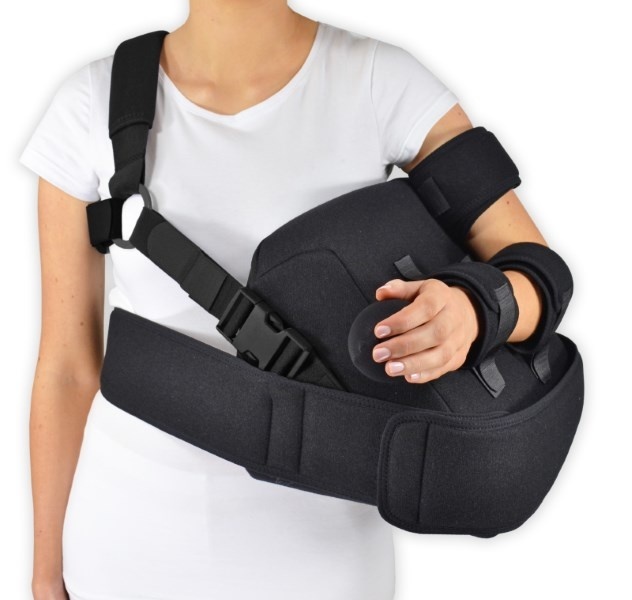 Fixed with 3 bands for better pressure distribution. 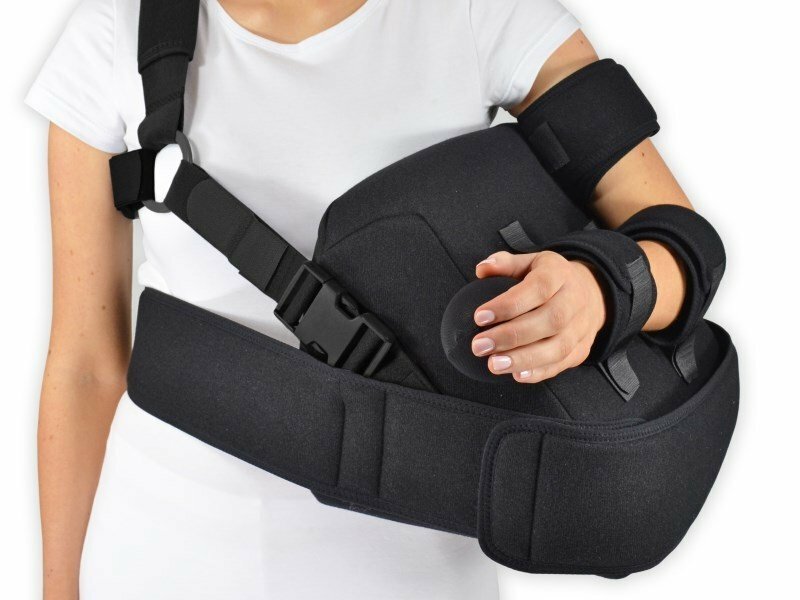 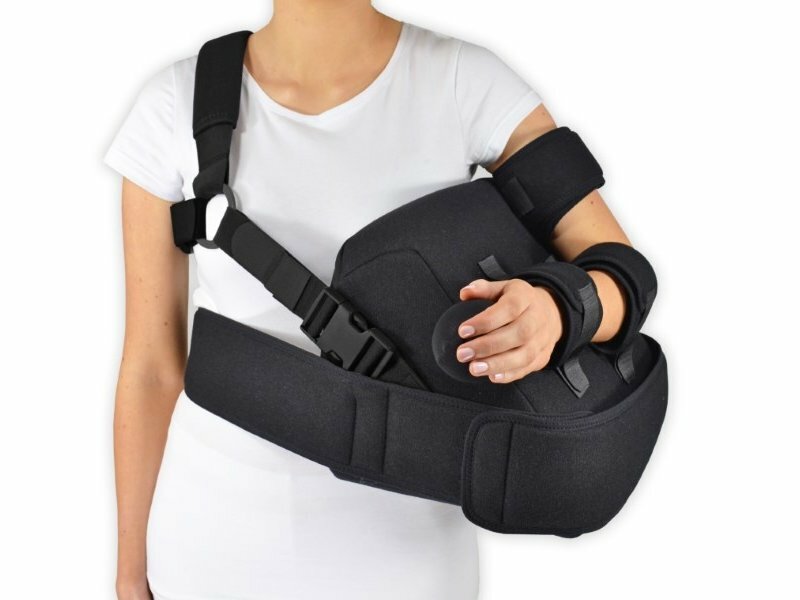 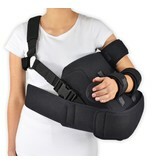 Combined with the upper and lower arm straps, the cushion offers good stability and shoulder fixation.